Gianni Marino has been making musical waves and registering in dance blog databases for the last few years at least. I was just reading today about a song that came out from him in 2016 and it’s no surprise that today the youthful artist is still dropping monsters when it comes to singles. 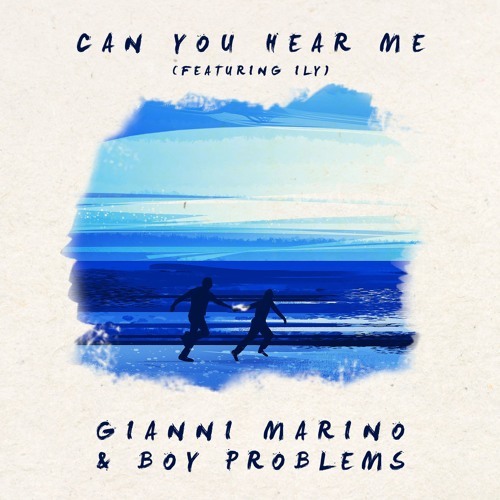 “Can You Hear Me” is a significant collaboration between Gianni, brand new artist Boy Problems and the amazing Swedish pop singer ILY. We tend to learn more about these artists as they keep releasing music and it seems that they are finally making that transition towards mainstream pop. It’s really exciting to get the opportunity to premiere this vocal anthem today. “Can You Hear Me” is an evidently 80s inspired pop r&b song with an lyrical top line pumping the whole time. Boasting a unique twist on their pop production style, these artists are sitting pretty in a world of generic sounding singles going live every Friday.